The study of budget credibility examines the extent, nature, causes, and consequences of deviations from approved budgets. Given the degree to which budget deviations can impact major social priorities in health, education, and beyond, it is essential that governments communicate about them. As part of the International Budget Partnership’s Assessing Budget Credibility Project, 24 civil society partners in 23 countries identified a budget credibility challenge in their country and scrutinized a case where the government consistently failed to raise or spend funds as it said it would at the start of the fiscal year. Partners looked for explanations for deviations in published documents and then sought interviews with public officials to further understand the deviations. 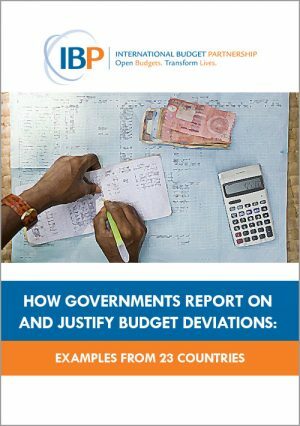 These budget credibility country snapshot reports summarize our partners’ research. The broader synthesis report on these findings can be found here.